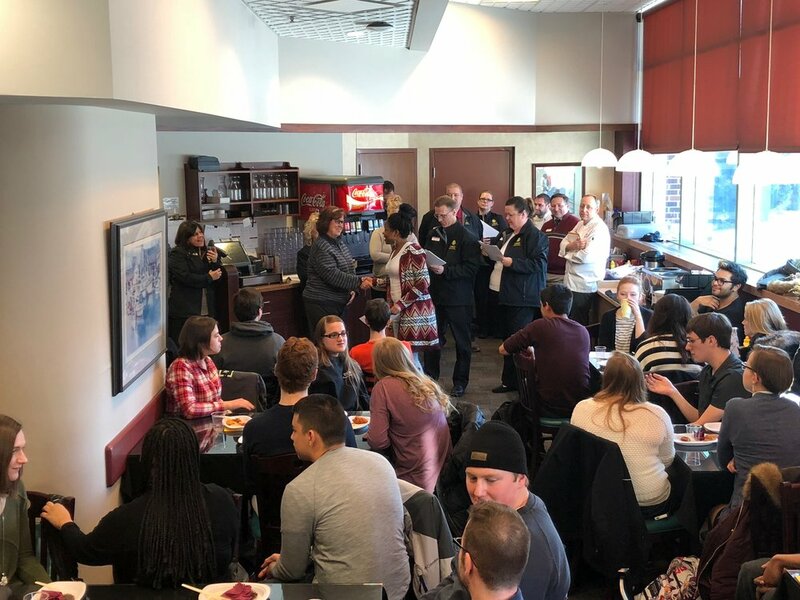 On Thursday Feb. 1 UMD Dining Services awarded students with scholarships worth $42,700. The scholarships are funded by tips and rebates from campus food vendors. Scholarships are given to hard working UMD Dining Services student employees who were nominated by their managers. 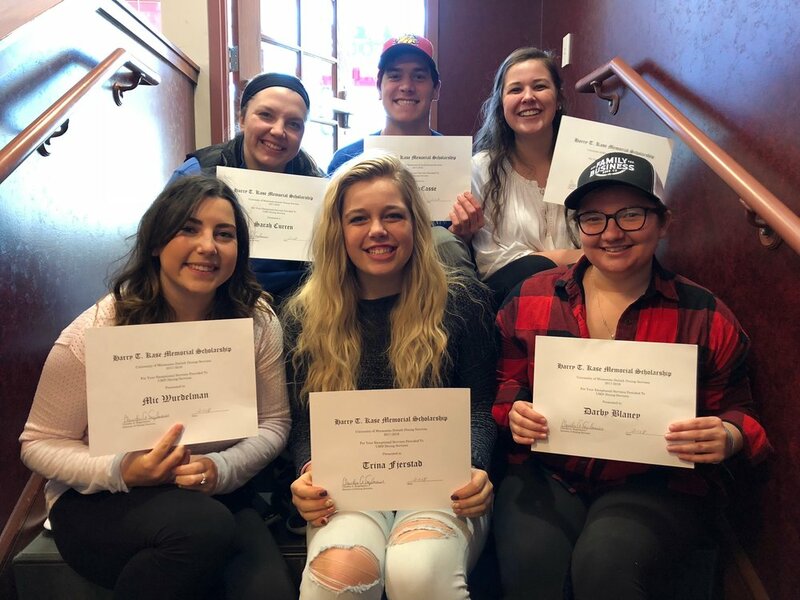 According to Director of Dining Services Claudia Engelmeier, the number of scholarships given out this year set a record high at a total of 122. Engelmeier said none of the scholarship money comes out of the UMD Dining Services budget. UMD freshman Miah Bloom, majoring in music education, was surprised to learn she was being awarded the scholarship. Bloom said she was almost not able to pay for spring semester and stated that this scholarship was a really nice surprise. Sophomore Josh Lytle, majoring in history, was awarded one of the scholarships. UMD senior Cory Hankel, majoring in physical education also received a scholarship. “It’s just awesome to have your job performance known,” Hankel said. UMD students proudly display their scholarships. Engelmeier said the scholarships have been handed out for the past fifteen years. “In 2003 we gave out seventeen scholarships and that was like $5,100,” Engelmeier said. Engelmeier said the scholarships are named after former dining services director Harry T. Kase. Engelmeier stated that Dr. Robert Kase, current Dean of UMD’s School of Fine Arts, who is Harry T. Kase’s son, was supposed to be at the ceremony Thursday. Engelmeier said Dean Kase was presenting in Chicago and couldn’t make it. “In the future now that [Robert Kase] is at UMD we’ve also invited him to join us,” Engelmeier said. Dean Kase said that the years his father, Harry T. Kase, spent at UMD were the happiest and most enjoyable of his entire career. Dean Kase said Harry Kase transformed the food services of UMD. Harry T. Kase came to UMD as a six week consultant and stayed many years as Director of Food Services.